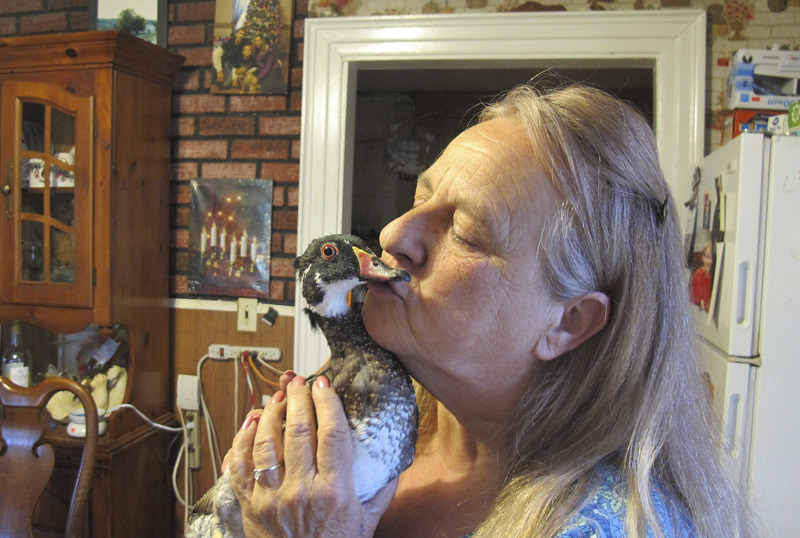 MIDDLESEX, Vt. — State game officials have backed down and allowed a woman to keep a 3-year-old wood duck that was brought home by one of her dogs when it was a chick.Earlier this year, a game warden arrived at Kimberlee Stevens’ home in Middlesex to take the duck named Peep. When Stevens refused to hand the animal over, the warden promised to return with a search warrant.”I don’t know. He won’t make it. I don’t know, I might not make it. He is like one of my kids and I just can’t, I can’t let him go. They’ll have to take me with him,” said Stevens to CBS affiliate WCAX at the time.On Friday, the state Fish and Wildlife Department relented and issued a permit allowing the family to keep the bird.”It’s such a relief to know we can keep him, it was a very stressful process and we just fought our way to the end, and I’m so happy we get to keep him,” said Jodie May, Stevens’ daughter, to WCAX.